There are several ways to stay informed about Howard's ongoing 150 year legacy of truth, excellence, and service. Below are a few of them. 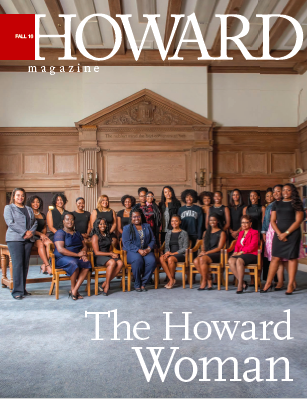 The magazine examines the legacy of Howard University and the strides that alumni have made in every profession. It also highlights the University's unyielding commitment to prepare some of the nation's brightest minds to meet the challenges of an increasingly competitive and global society. See a curated list of articles and press releases related to the sesquicentennial. One of the ways we will commemorate our sesquicentennial celebration via social media is through our Journey to 150 campaign characterized by the hashtag #HowardU150. With this, we ask for students, alumni, faculty and staff to submit memories and quotes reflecting upon this theme for a chance to be featured in this heart-warming campaign. Those that would like to be featured should submit their Hi-Res Candid, or Headshot photo, and quote to 150years@howard.edu with #HowardU150 in the subject line to be considered!